Applying for an insurance license has become easier to do as most states now provide for online licensing. As a multiple state licensing provider, Sircon offers online licensing services that provides you with a quick and efficient online application process in order to obtain your insurance license. 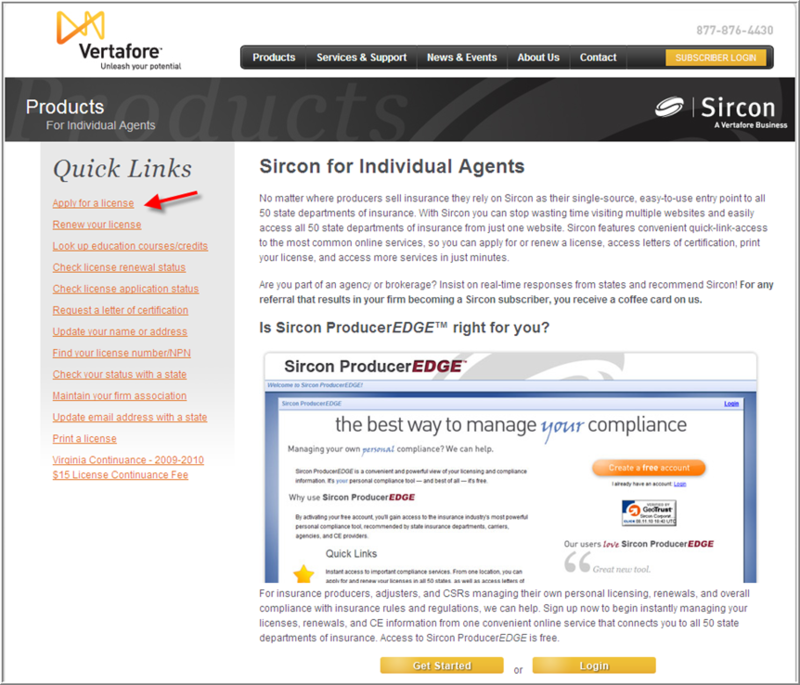 Visit Sircon.com, and click on “Learn more about our products for agents” located in the red “Individual Agents” box. 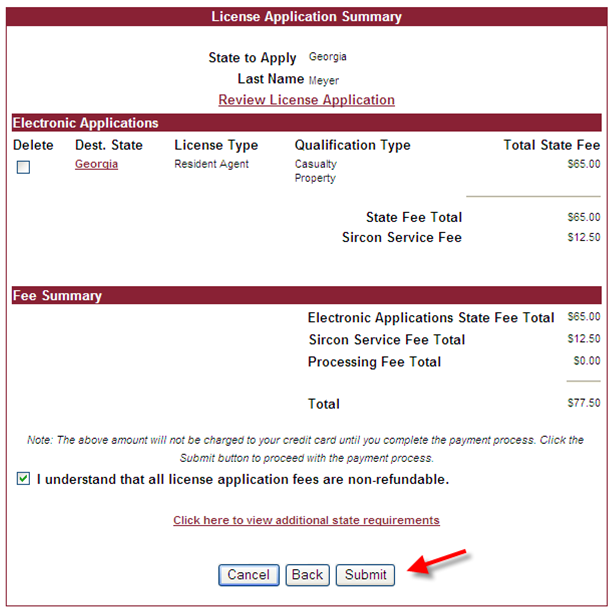 Once there, click on “Apply for a license” located on the left side of the page under the Quick Links menu. Your state’s department of insurance will require your social security number to verify your identity and for future licensing purposes. 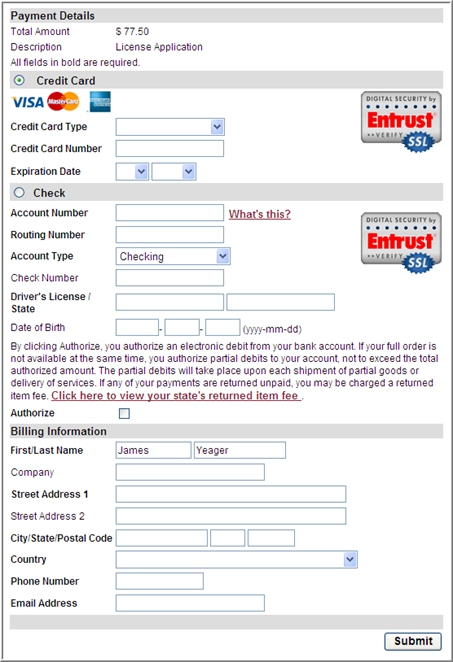 On this page, the example shows where to enter your Last Name and SSN. In addition, you need to select “Applicant” as the preparer of the application as well as the state in which you want to apply. 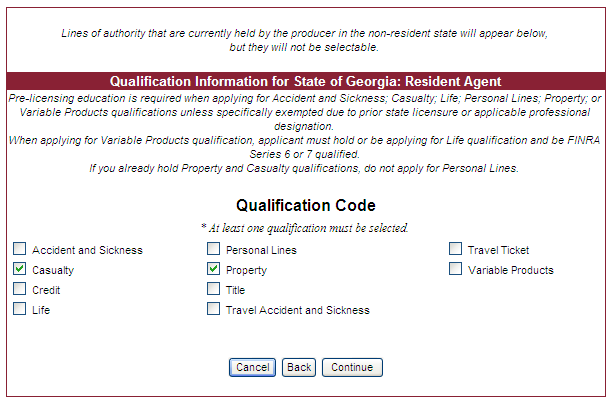 Finally, on the next page, you will select your license qualification(s), i.e “Accident and Sickness” and/or “Life” and click “Continue” once again. You are now able to enter your personal information including your social security number, name, birth date, gender, country code, email and physical addresses. 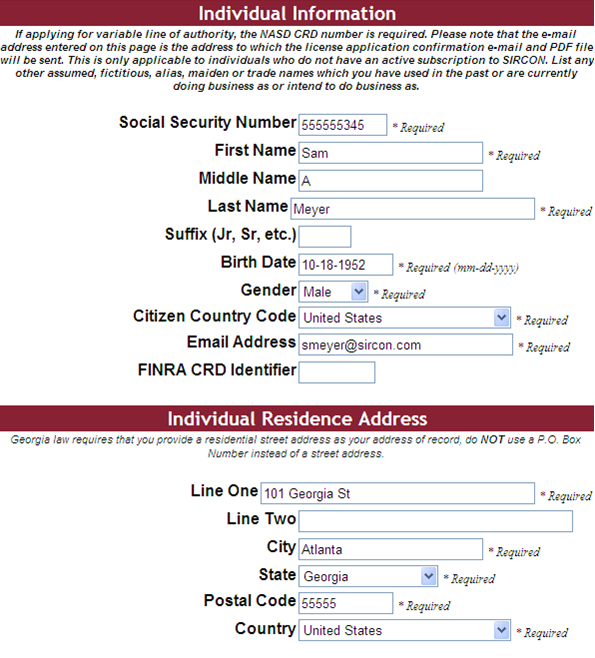 You do not need to fill in the “FINRA CRD Identifier” field. Then click “Continue” to proceed. 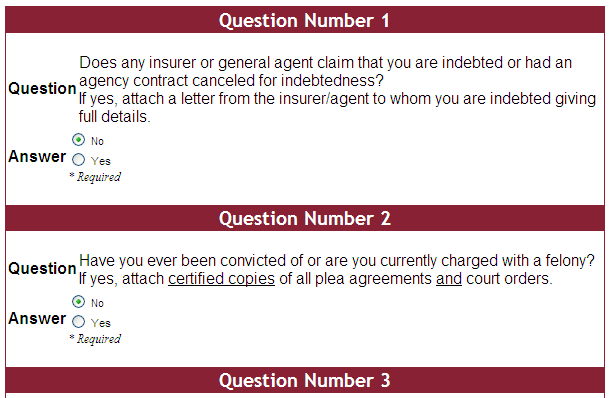 On the next page, answer the questions appropriately and click “Continue” to proceed. At this point, Sircon is reviewing your information with the NAIC producer database to verify your information. It may take a few moments to verify your information. After verifying your information, you will be able to review your “License Application Summary” and billing for your state’s licensing application fees. At the bottom of the page, place a check in the box and click “Submit” to proceed to the billing information page. 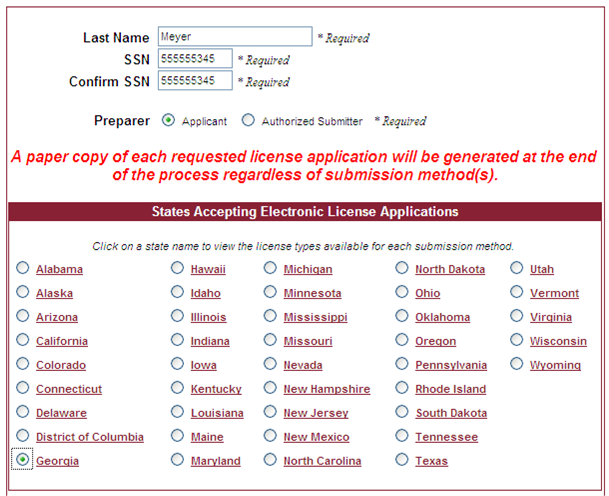 Enter your billing information and click “Submit” to send your licensing application electronically to your state’s department of insurance. You have now completed the licensing application process! 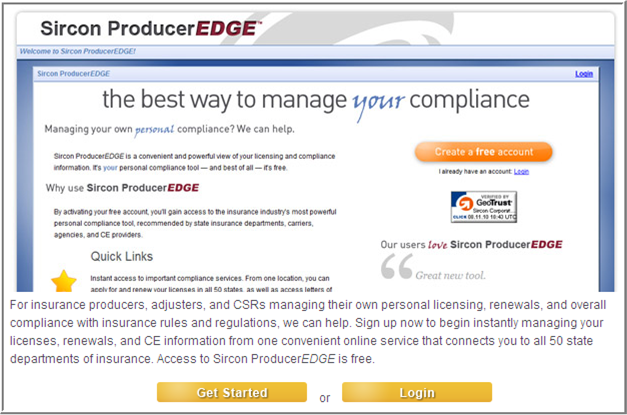 Note: Sircon will also provide you with information relating to the “Producer EDGE.” This is a free subscription that allows you to more easily control your licensing maintenance and renewal in the future. 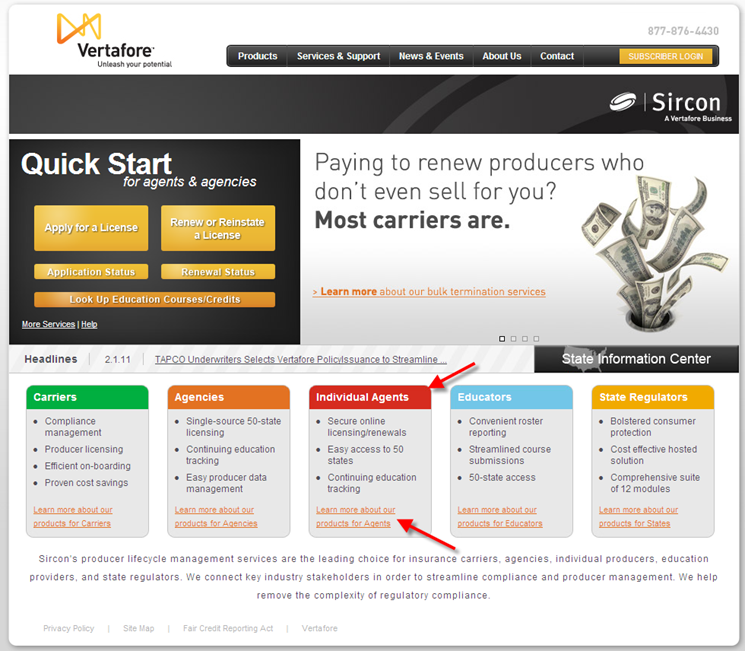 All screen-shot images are courtesy of and copyrighted by Vertafore, Inc.